It is the end of my second year teaching at The Parish School and at Camp Acorn! With two years under my belt, I have a better understanding of “The Parish Way,” utilizing music to work with our students, and personally watching the students grow during this time. 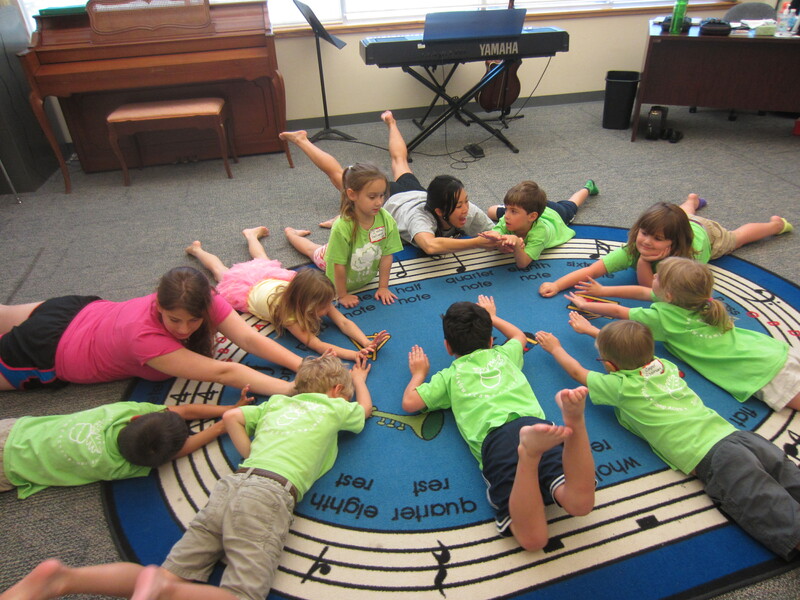 It is a joy to watch their language, musicality, and social skills develop. This has been a busy and emotional school year with special performances, start of new programs, and unexpected changes. Click on the links below to read more. – I directed The Parish School Choir at the Houston Food Bank’s “Gift of Produce” event at City Hall with Mayor Annise Parker present. – I also took the students on our first music field trip. The Laurel Oak students attended a Houston Symphony Concert, learning about the instruments, the symphony, and the music. Borrowing the instruments from the Houston Symphony petting zoo, students had an opportunity to try to play brass instruments. – The students also attend a piano trio concert from the Houston Symphony Community Connections program. Three Symphony musicians came to Parish and performed for us. –WindSync also performed at Parish, teaching students about wind instruments through Peter and the Wolf and their creative programming. – I started two new programs at Parish this year: private individual music lessons and a group martial arts class. 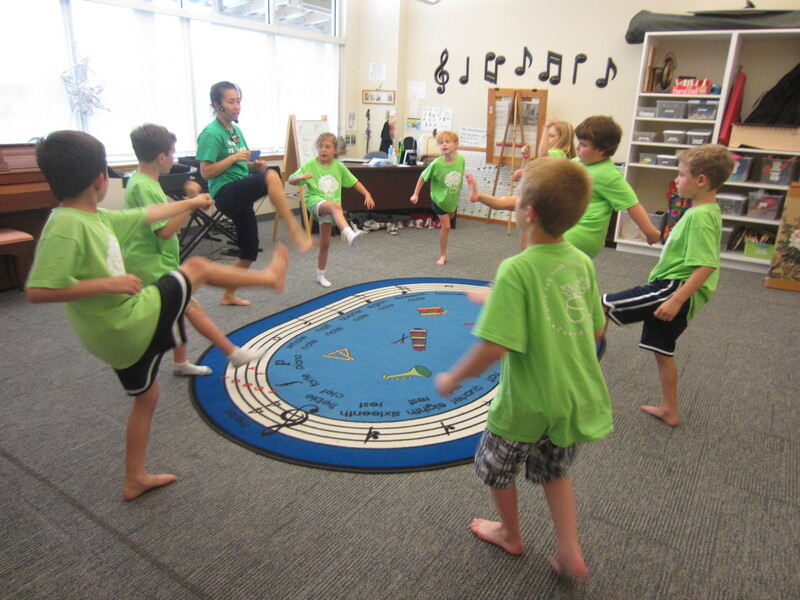 Four students increased their strength, motor coordination, and self-confidence through our martial arts class. Sixteen students learned how to play instruments, fostered their love for music, and jumped into the realm of music theory. – In May, I hosted a Music Party where eight students showcased what they were learning in our music lessons. They were the first ones to play on the new upright Yamaha piano that was purchase with the Roberts grant. – The sudden death of our Head of School, Margaret Noecker, shocked everyone and it was overwhelming to see the support of the staff, families, and community reach out to help one another during such a tragic time. Thank you for reading and following along the music, creative movement, and martial arts classes I teach at The Parish School. I am delighted at all we accomplished this year and look forward to year number three. For now, I am off to San Francisco for July; see you in August. Enjoy a beautiful relaxing summer! This entry was posted in Recap and tagged music, Recap. Bookmark the permalink. Thank you so much for sharing your ideas and experiences with us! Your work inspires us ! Music is so powerful in our lives…it is evident in almost everyone because who doesn’t remember the first instrument that they learned to play, the first live concert that they attended, or the first song they learned to sing by heart? Thanks for keeping music alive and teaching its importance to our students at Parish! 🙂 Rock on! 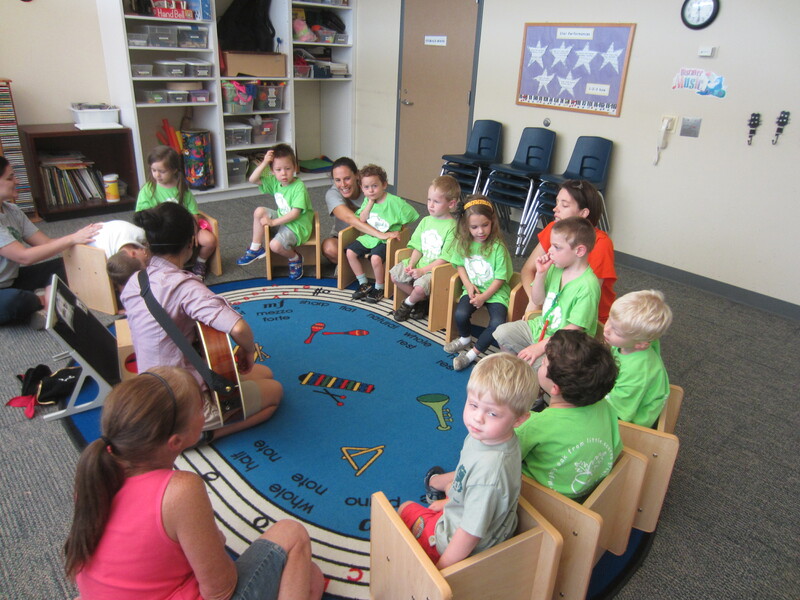 Lórien is having such a great time learning about music with you! Enjoy California – we’ll see you in August!